Ready to make your hexayurt stand out and reflect your own personality? 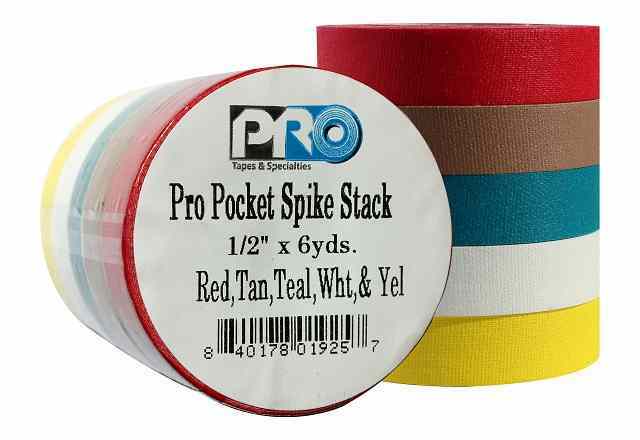 Pro Tapes Spike Stack is here just in time. A Spike Stack is a package of five rolls of cloth gaffers tape in half inch width. Gaffers/spike tape is great for decorating, color coding and lots more. Make designs stand out and reflect the aesthetic of the builder. Each stack is made of five rolls of tape, each 1/2 IN x 18 FT and there is a bright selection, a dark selection and a neon selection.